Divine direction is a difficult concept to discuss or explain. We talk about relying on the guidance of the Holy Spirit. We sing worship songs asking Jesus, “Help me, I pray. Show me the way, one day at a time.” Yet, we struggle to really explain what that means lived out in real life. I can say, based on my own personal experience, there have been times in my life when I felt God very personally guiding me one step at a time. Usually, this was during particularly stressful times in my life and the step-by-step guidance felt a little scary…because I really wanted to see the whole path mapped out in advance. Yet God asked me to simply trust Him and do what He asked at each step…and God proved Himself faithful. One such example was when my employer of over 20 years decided to close the business. That was a pretty stressful time. I felt I needed to take action, but was not at all sure what direction I should take. During that time, God frequently comforted and assured me He was in control, and asked me to simply wait and trust Him. In the end, I was employed by another company in the same industry who decided to open a facility in the same town. Another example was a couple of years ago when I was diagnosed with cancer. Throughout that whole ordeal I very much faced life one day at a time, relying on God every step of the way. Sometimes, it was simply one meal at a time, “Please, God, help me to swallow this meal down and keep it down. Lord, help me get the nourishment my body needs, today.” Once again, God proved Himself faithful. Most of the time, living under divine direction is a lot more fluid. I don’t usually ask God for direction on what to eat each meal. I don’t wait for the Holy Spirit to tell me when I should bathe or wash my hands. God generally expects me to use the good sense and experience He gave me to make these decisions myself. Nor do I rely on God to directly intervene and tell me to love others. He already told us that numerous times in the Bible. Jesus modeled what love looks like. However, the Holy Spirit does sometimes prompt me to lovingly take a specific action toward a specific person. So, it is not all one or all the other…it is a blending and mixing of cognitive decision making and relying on divine direction. Riding my horse, Knockout, last weekend, I realized the timing of direction I give Knockout is similar to the timing of direction God gives me. Riding off-trail through the woods, picking our way through trees and brush, we travel at a walk with me literally directing the placement of every foot. In those situations, I have to plan a viable path in advance. We must avoid low hanging branches that could knock me out of the saddle. We must avoid rubbing against trees that could injure me. We must avoid deadfalls with entangling branches and vines that could snag and trip Knockout. We must avoid holes that could injure a horse’s leg. So, I step-by-step direct Knockout’s path and Knockout responds accordingly, as we weave our way through the obstacles. Knockout does not know what path I have planned, so he must await my direction on every step. Riding off-trail through woods reminds me of how God guides me step-by-step through difficult life situations, much as I guide Knockout. Since I cannot see the path, I must rely on God’s guidance for each step…and He is faithful. Riding the gravel roads is a completely different situation. With no tripping hazards and a clear path, I don’t pay much attention to exact placement of Knockout’s feet, and we often travel at a trot or canter. I have a destination in mind and a preferred gait and speed I want to travel, and I expect Knockout to respond accordingly. With the clearly marked road, Knockout does not require frequent input from me. He also does not have much need to make decisions. Knockout’s task is to simply follow the road at the speed I set until I ask for a change. Traveling gravel roads reminds me of God’s direction during my normal daily living, where I pretty much know what He expects and don’t need to constantly ask. Like Knockout, my job is to keep following the path He has laid out for me until He asks for a change. Trotting or loping across our pasture presents yet another set of challenges. Our pastures are not perfectly smooth or groomed. We have lots of little patches of brush a horse can trip on. We also have lots of dips and mounds that can act as tripping hazards. While trotting or loping in the pasture I tend to focus on the end goal…the point at the other end of the pasture we are traveling toward…and I hold Knockout pretty much to that path. However, I allow a lot of flexibility in the exact route. Knockout must watch for potential tripping hazards and navigate around them. So long as he returns pretty quickly to the intended direction of travel, I expect him to make minor navigation decisions on his own. And when Knockout stumbles, I use the reins to lift him up and urge him on. Trotting or loping across the pasture reminds me of how God guides me through temptations and difficulties during normal daily living. He sets the long goal with clear direction, but gives me the responsibility of watching for issues and adjusting course accordingly…as He continually brings me back to focus on the goal of loving others as I am conformed to His image. And when I stumble, God lifts me up and urges me on. Similarly, when crossing creeks with steep muddy banks, I allow Knockout some discretion on moving a couple of feet to the left or right, as he sees fit. After all, he is the one who has to find secure footing for our crossing. Crossing creeks with steep banks reminds me of the many times I have sought God’s direction on a specific decision and God pretty much told me it was my choice…that neither path was inherently right or wrong…and He would be with me whatever I chose. When we track a cow, Knockout’s discretionary decision-making ratchets up a notch, as I actively ask him to make some of his own decisions. I want him to learn to track and read a cow with minimal input from me. So, once we’re trailing the cow, I stop giving much guidance as long as Knockout generally continues to follow. I mostly try to stay out of his way and let him do his thing, unless it looks like he needs a little help. Knockout must pay close attention to the cow while also being always prepared to respond to a cue from me. Tracking cows reminds me of the seasons of learning when God has pushed me outside my comfort zone and prompted me to pursue a passion…as He provides additional guidance as needed. Sometimes, the Holy Spirit guides me one step at a time. Other times, His guidance is more general with a lot of decisions being left to my discretion. Always, He is faithful! He is faithful to walk with me and guide me. He is faithful to always guide me back to the Paths of Righteousness. He is faithful to continually complete the good work He has begun of conforming me to His image. 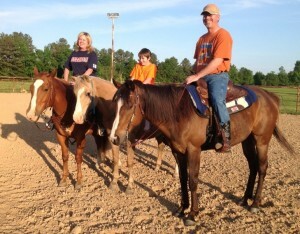 He is my faithful horseman! When I first started riding horseback, I viewed the reins as the controls used for steering and stopping the horse. To steer the horse one moved the reins to right or left, much like the steering wheel of a car. To stop the horse one pulled back on the reins much like the brake of a car. Funny thing though…the more I used the reins to steer…to control the horse’s direction…the more he tended to wander off from the direction I wanted him to go. So, I had to correct. It was sort of like driving a car in need of a front end alignment. Get the horse pointed the desired direction and lower the reins. The horse wanders to the right. Use the reins to tug him back to the desired direction and lower the reins. The horse wanders right, again. Tug the reins to the left of the desired direction. He drifts right, again. I decided the problem was too much slack in the reins. I would have to take tighter control to keep him from wandering off. When the steering mechanism has too much slack, make adjustments to remove the slack, right? 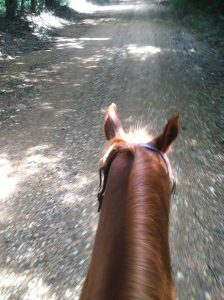 So, I shortened my grip on the reins and rode with both hands rigidly holding the horse’s head position. The horse stayed on track. Problem solved! I could only be confident of holding our direction by rigidly holding the reins in position. Micro-managing the horse’s every move does not make for a relaxing ride. Both horse and rider have more tension and stress than necessary. Watching more experienced riders I could see they were much more relaxed and usually rode with a loose rein. “Maybe it’s just a matter of time,” I thought. “I have to keep tight control for a while to let the horse know I’m boss, then I’ll be able to loosen the rein a little.” But every time I loosened the rein, the horse started wandering off track again. It was horribly frustrating! My horse and I could not walk a straight line. I knew it was my fault but felt helpless to correct it. The horse promptly over-responded to my every foot nudge just to have me immediately over-correct him back the other direction. That moment of epiphany, though just the beginning, became a major turning point in my understanding of horseback riding. Today, I view my reins and boots not so much as a means to control the horse’s direction as a means of telegraphing my body language to the horse. I see the horse not as a riding machine to be controlled, but as a partner to be communicated with. I am still a very inexperienced rider, but the paradigm shift has definitely helped me progress. Lately, I have thought about these riding-lesson truths while pondering Paul’s words about the roles of law and faith. In early training, the reins are used to teach the horse to yield direction to the rider. Later, the reins are still in place to serve a similar function. However, as both horse and rider gain experience and trust, the reins are used less and less as a means of directing and more and more as a means of communicating. For a very skilled rider on a superbly trained horse, the reins become superfluous and are no longer needed. In the same way, as immature Christians we start out studying God’s word to learn how we are to behave, and we sometimes use scripture to micromanage one another’s lives. One person finds a scripture indicating Jesus drank wine while another finds a scripture indicating alcohol consumption is to be avoided and they beat each other up with their disparate understandings of scripture. But they are both showing their immaturity by missing the whole point. Both are still viewing the reins (scripture) as being for the purpose of controlling behavior. The real purpose is to facilitate communication…to lead us to Christ…to teach us of God’s heart…and to train us in understanding and following the Holy Spirit. 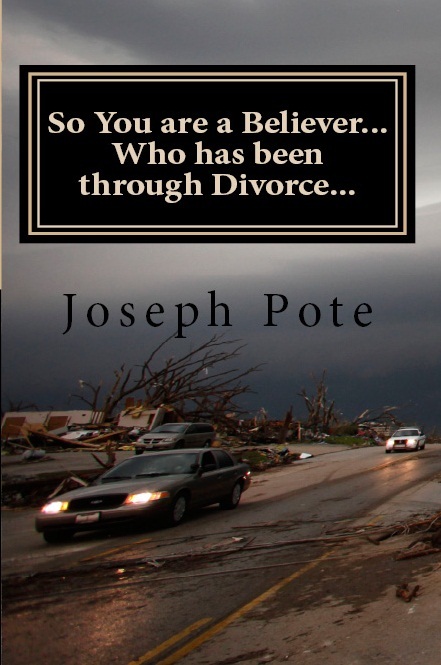 Following the law (as legalists), we hear of a fellow Christian going thru divorce and immediately feel the need to learn every detail of their very personal marital relationship so we can discern (judge) whether or not their divorce is biblically permissible (as legalistic a term as ever was) so we can provide sound biblical counsel (verbally beat them up) to aid them in their Christian walk (control their behavior). Under grace, we simply ask how we can pray for them and what we can do to help, trusting that as mature Christians they are able to hear and follow the Holy Spirit’s leading in their personal lives. In what areas have you learned to loosen your grip on the reins and trust God’s grace?